In early June 2013, Todd had the opportunity to spend a week in Sofia, Bulgaria. The trip was to provide training to law enforcement and archaeologists from seven Balkan countries. This trip included two days of climbing with Bulgarian climbers at three areas near Sofia. In the fall of 2018, Donette and Todd climbed in Italy, Slovenia, Bosnia-Herzegovina, Serbia, Bulgaria, Greece, Macedonia, Montenegro and Croatia. They visited numerous World Heritage sites, hung with local climbers and established a number of new routes. 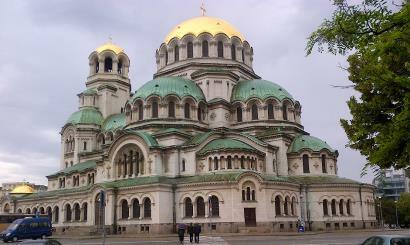 1) Alexander Nevski Church in Sofia. 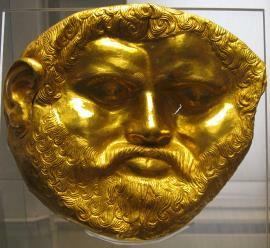 2) Gold mask at the Archaeology Museum in Sofia. 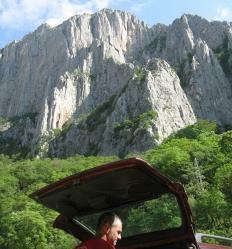 3) The impressive cliffs of Vratsa, Bulgaria. 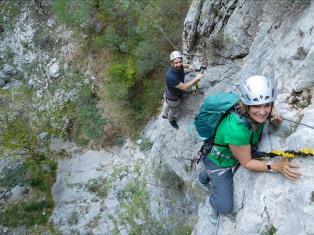 4) Donette and Cooper on a via ferrata in Blagaj, Bosnia-Herzegovina. 5) Kebabs in Nis, Serbia. 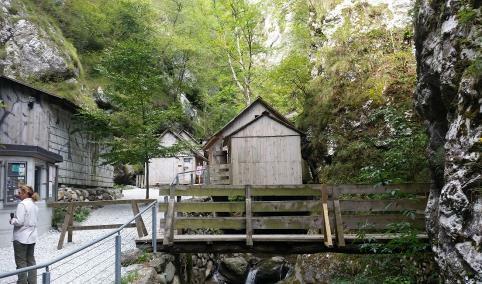 6) Franja Partisan Hospital, Slovenia.